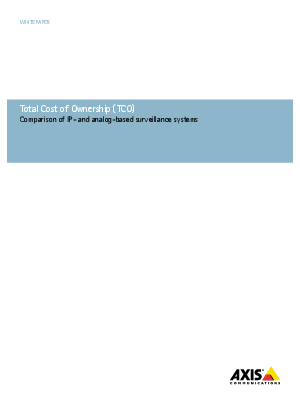 IP based systems of 40 cameras have a lower total cost of ownership than analog systems. 32 cameras is the break-even point for IP systems versus analog systems. If IP infrastructure is installed the IP system is always lower cost. IP systems offer many non-quantifiable advantages, including improved image quality, better maintenance and service, increased flexibility, and systems that are easier to troubleshoot.